A minimum of 5 menus within two days. Impeccable logo designing that can distinguish the client from other players. The client needed the menu designed in a very short time which persuaded us to extend our office time. We were also required to design the menu as per the cuisine, the name, the theme and the scope of the restaurant for which the menu was being designed. Menus ranged from four to eight pages and hence the time required to complete each of them changed. This also made it difficult for us to gauge the time required to complete each one and the entire project. We created three different samples and offered the same to the client so that we can evaluate the aesthetic preferences and requirements of the clients. A new team with three designers experienced in designing custom restaurant menus was set up and this helped to effectively complete the project within the time window. The team extensively used variety creative software suites to design the menus. The menus were then sent to the clients for review and to know if any final changes are required by them. The team-lead was also responsible to check the quality levels of the menus created before the completed menu was shared with the client by means of Drop box. With the wholehearted and professional support of PGBS, the client was able to complete the project even before the deadline by their customer. They were also able to cut down the in-house cost by about 68%. Our timely support in regard of graphic designing services also helped them clear the backlog they had while designing the menu. As we were able to complete the project before time at affordable cost without compromising even a bit on the levels of quality expected by the client, they associated with us ever since as their go-to designing services provider. 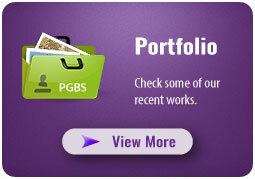 In case if you have any marketing collateral design requirement or the like, reach our graphic design company anytime. It would be a pleasure to help you.